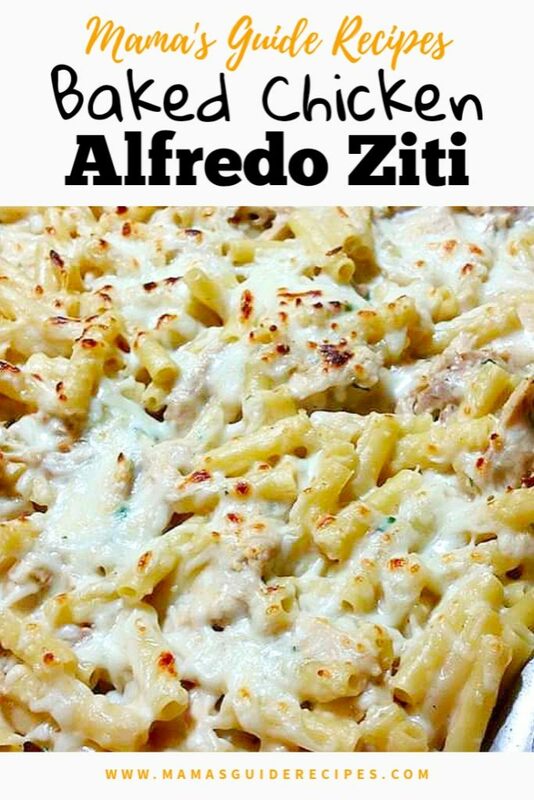 Baked Chicken Alfredo Ziti is quick and easy to prepare. Make this recipe this week and its going to be a sure hit with your family. Your husband will surely request the same recipe next next week. For the chicken, it’s best if you will use roasted chicken breast (skinless and boneless). However if you will be using a fresh chicken, pound it first and season it with salt, pepper and some garlic powder. Give it an extra taste and stir fry in a pan until cooked through. In a pan, heat oil over medium-high heat. Sauté garlic for about a minute. Tossing and turning until it becomes fragrant. Add in flour, and toss it again to combine. Continue to cook the flour for about 1 minute. Then pour in the chicken broth and stir to combine until it becomes smooth. Next, add in milk and just let it come to a simmer using low heat and constant stirring. Continue to cook for 1 minute until the sauce is slightly thick. Add in Parmesan cheese, season with salt and pepper. Remove from heat once the cheese is melted, it will become thicker as it cools down. Set aside and keep it warm. Boil the Ziti/pasta in a large pot of water and follow package instructions. Using a colander, drain water and return pasta in the pot. Then, add in the alfredo sauce and shredded chicken. Toss and combine until the sauce is evenly distributed. Prepare your baking pan and transfer the 1st half of the pasta mixture. Sprinkle 1 cup mozzarella cheese on top and add in the 2nd half of the pasta mixture on top of the cheese. Top it again with the remaining mozzarella cheese. Bake it for about 15-25 minutes until the cheese is melted (don’t let it brown too much on top). Remove it from oven, as soon as the cheese melts on top. Sprinkle more cheese and garnish with chopped parsley. Serve with garlic bread and enjoy!